LP version. Includes download code of full album; Edition of 500. 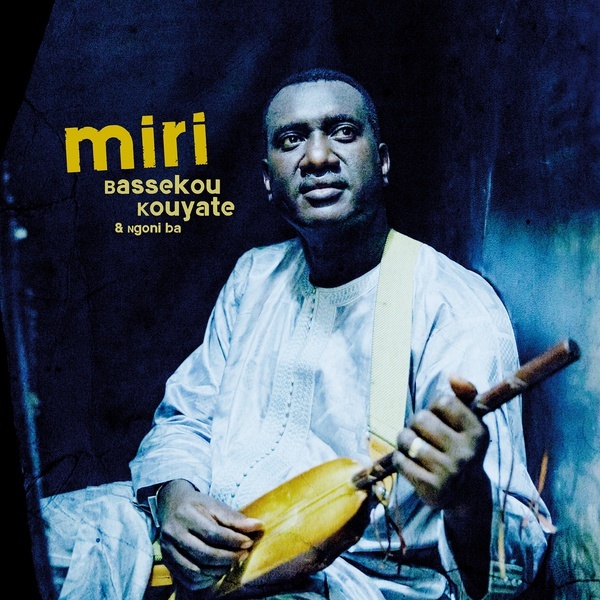 Bassekou Kouyate is back on his original label Out Here Records with his fifth studio album, Miri. Miri is an album about love, friendship, family, and true values in times of crisis. Miri means dream or contemplation in Bamana. On Miri, Kouyate travels back to his hometown Garana, a small village at the banks of the Niger river. The instrumental song "Miri" captures that feeling. Miri talks about Kouyate's mother Yakare who passed away. "Deli" is a song about true friendship. "Konya" talks about jealousy a problem that can even destroy families. "Wele Ni" takes you deep into the history of Segou koro (old Segou), once home of the Bamana kings. The song is about a king who thought he didn't need to treat the people around him with respect, and later realizes he is nothing without the people around him. The song features vocalist Abdoulaye Diabate and Bassekou playing slide ngoni with a bottleneck. Like Mali music legend Abdoulaye Diabate, most guests on the album are longtime collaborators. Bassekou's friendship with Habib Koite goes way back to the early days of Symmetric Orchestra. As a trio together with young Toumani Diabate Bassekou played his first concert in Europe in 1989. "Kanto Kelena (She Left Me Alone)" is a song about a man who was left alone by his loved one. Afel Bocoum (Ali Farka Toure) from the same village Niafunke, sings for peace between the Fula, who herd cattle, and the local cultivators of Mali, on "Tabital Pulaaku". A very special guest is a young Kankou Kouyate, the daughter of Bassekou's brother Fousseyni who used to play in Ngoni Ba -- Kankou can be heard on all of the background vocals. Michael League (Snarky Puppy, Bokanté) went out of his way to add some guitar to the song "Konya". Fiddle player Casey Driessen, whom Bassekou met while touring with Bela Fleck, played on the folk ballad "Nyame". Dom Flemons (Carolina Chocolate Drops) plays bones on Bamana classic "Fanga". "Wele Cuba" is an Afro-Cuban jam about Africa's love for Cuban music; Cuba's answer is sung by Yasel Gonzalez Rivera (Madera Limpia). The album pays homage to two great Malian singers that have blessed quite a number of Bassekou's albums: the one and only Zoumana Tereta and the golden voice of Mali, Kassemady Diabate. Also features Majid Bekkas.